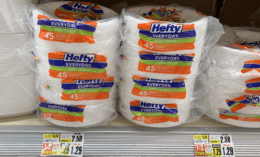 Here is another great deal you can score at ShopRite this week! 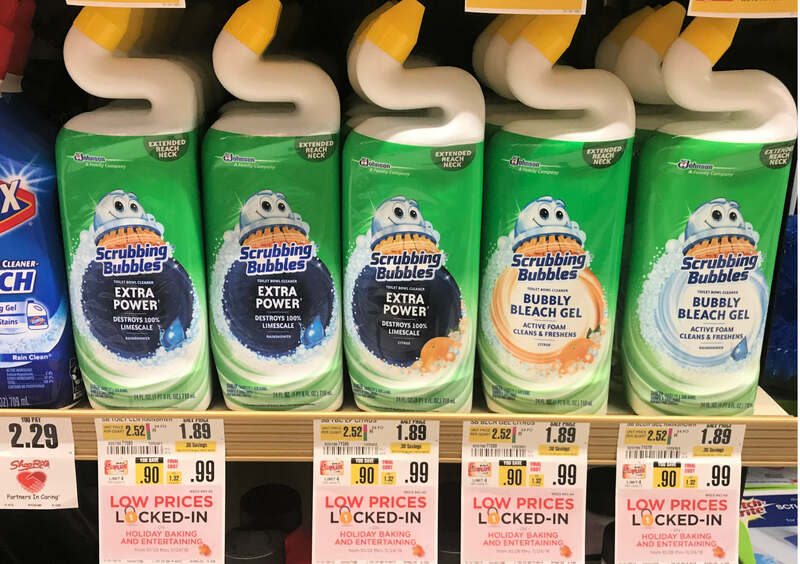 Through 11/3, ShopRite has the Scrubbing Bubbles Gel Toilet Bowl Cleaner on sale for $0.99, various additional SC Johnson Products are on sale this week as well. Buy any 4 Ziploc Brand, Scrubbing Bubbles, Windex, Pledge, Drano, Fantastik, Glade (ex Solids and air fresher spray) and Shout products. All items must be appear on the same receipt. Upload you receipt for a $5 Visa Virtual Gift Card. 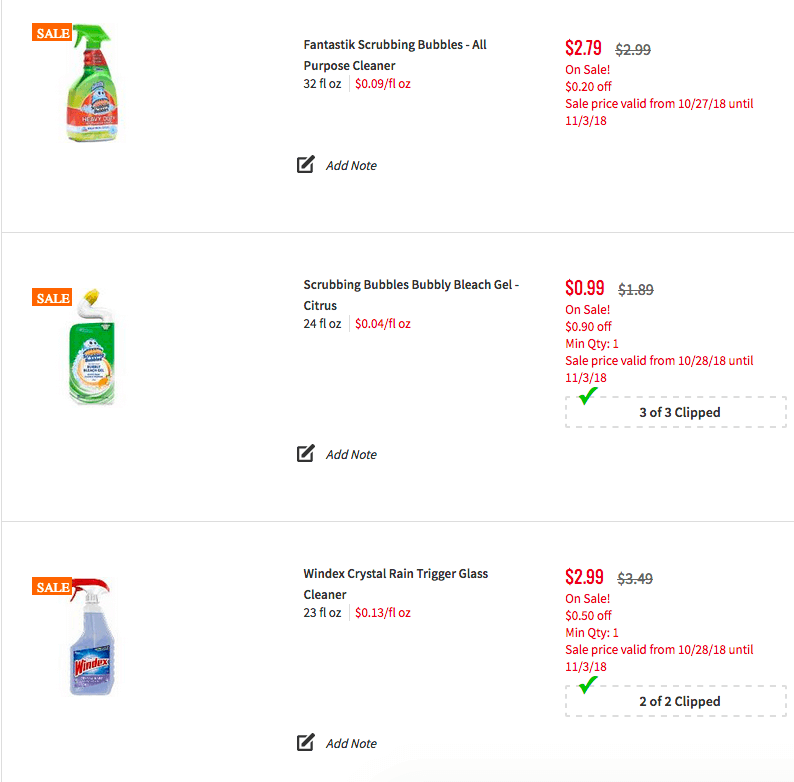 After coupons and rebate we can score 4 Scrubbing Bubbles Gel Toilet Bowl Cleaners for free + up to a $5.79 Money Maker! We put together a few deal ideas below to show you have you can mix and match this and maximize you deal. Make sure to grab a GEL Variety of the Toilet Bowl Cleaner to ensure that this deal works properly!